A genuine OE part, the Culligan RV-800 inline pre-tank exterior water filter ensures you have the cleanest possible drinking water supply in your boat or recreational vehicle. Built to install quickly and easily, this filter will reduce chlorine, sediment, bacteria, bad taste and odor for up to 12 months. 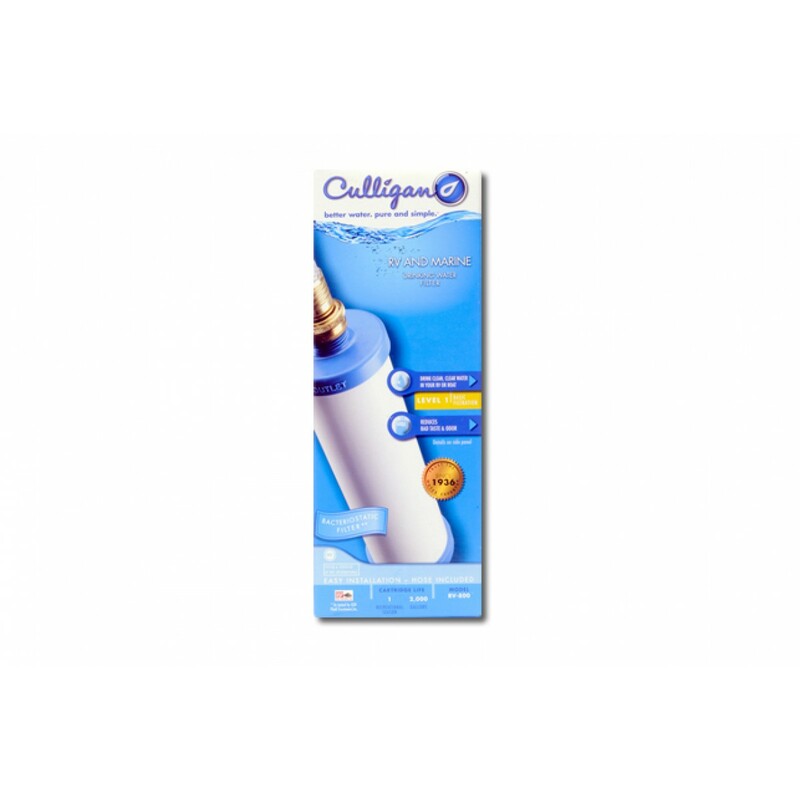 Order the Culligan RV-800 inline pre-tank exterior water filter from us today.